Manchester United will have no special edge over their rivals if they ever decide to seal the transfer return of Wilfried Zaha from Crystal Palace. The Red Devils signed the exciting Ivorian winger earlier in his career, but barely gave him any opportunities in a brief stint at Old Trafford. 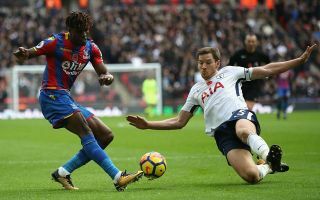 Zaha has since ended up returning to Palace, and has shone again at Selhurst Park, earning interest from the likes of Chelsea and Tottenham, according to reports in the summer. At the time, the Daily Mirror claimed Spurs backed out of the running as clubs were being quoted £75million for Zaha, which seems a tad pricey. And unfortunately for United, they don’t seem to have a buy-back clause or any special option to re-sign the 25-year-old any time soon. The Daily Mirror has run through three former United players – Zaha, Adnan Januzaj and Memphis Depay – and the latter two do have buy-back options in their current contracts. It remains to be seen if the club ever would show interest in re-signing these players, with Depay perhaps the most impressive since leaving the Red Devils, and with Zaha surely not worth the £75m price tag linked with him in the summer. Still, they may well decide they made a mistake letting him go and look to him to improve their current attack, which has a few players like Alexis Sanchez, Anthony Martial and Marcus Rashford struggling to make an impression in it.